The purpose of this contingency plan is to provide general information and guidance to the Palmas del Mar community and to identify evacuation routes and safety assembly points in the event of a Tsunami alert impacting Palmas del Mar. Even with today’s sophisticated technology, much remains to be learned about tsunamis. Unfortunately, their location and magnitude are very difficult to predict. When a tsunami is generated, its height and arrival time vary according to local coastal configurations. The resulting types of damage can further complicate safety planning. When a tsunami strikes, the lack of a defined preparedness plan will leave a community’s emergency response confused and unclear. On the other hand, the combination of a well-defined contingency plan and good public awareness of the danger of tsunamis can afford protection to a community even in the absence of state or municipal government guidance or plans. It is the Palmas del Mar Homeowners Association (PHA) objective to make Palmas del Mar a Tsunami Ready Community by developing and incorporating local procedures into broader municipality and state government plans. Too often we fail to learn the lessons of history from coastal areas that are vulnerable to tsunami attacks. The fact that tsunamis are relatively uncommon further contributes to the complacency of our society and the lack of action or well defined plans by the central government. In the Humacao region specific plans and guidance on how to respond to a tsunami threat or warning have been developed. There are maps of evacuation routes, assembly points and general and specific guidance for the municipality and its wards. However, although there is central planning and general guidance to the population, individuals within Palmas del Mar need to know how to protect themselves and communities such as ours must assume a degree of responsibility for their own protection. Consequently, we at Palmas del Mar must augment and support the government planning by becoming tsunami ready as a community. This is done through advanced contingency planning, community education and awareness training, developing internal alerting procedures, establishing and marking evacuation routes and evacuation areas and the timely dissemination of accurate information. This Tsunami Emergency Contingency Plan provides guidance to the Palmas del Mar population on what to do if a Tsunami alert is received and the actions must be taken to safeguard the lives of those in tsunami danger areas. The intent is to be ready to help ourselves if a tsunami situation arises that could threat the safety and the security of our community. This plan has been reviewed by representatives of the National Weather Service (NWS), the West Coast and Alaska Tsunami Warning Center (WCATWC) and the Red Sísmica de Puerto Rico. Also, it has been coordinated with the Agency for State Emergency Management in Humacao and with the Humacao Office for the Management of Emergencies. During a tsunami emergency, the Palmas del Mar Homeowners Association (PHA) will implement the Tsunami Emergency Contingency Plan. To the extent possible, this plan will be coordinated with key state agencies to insure its effectiveness during implementation. The plan will be periodically reviewed for currency, identify resources and equipment and delineate and distribute responsibilities. When the Emergency Plan is activated in anticipation of a possible tsunami impact, normal operations at Palmas del Mar are altered and the guidance contained in the plan, as well as the directives issued by an Emergency Committee directed by the PHA Executive Director, will become the standing operating procedures to be followed. When the Emergency Plan is put into effect all residents, business and all entities operating within Palmas tsunami danger zones will be notified by all available means. As part of the Emergency Plan an Emergency Operations Center will be established in the PHA Building to coordinate all activities and issue instructions geared to look out for the safety of persons within Palmas and provide general security to the community. This Emergency Center is organized by personnel designated by the PHA in coordination with the Tsunami Emergency Committee and can be reached through the (787) 852-7775 & 852-7745. All incidents and emergency calls are channeled through the Emergency Center. Also, an Alternate Emergency Operations Center may be established, if necessary. During a tsunami emergency, strict security measures will go into effect to control unnecessary movement of vehicles and people into affected areas within Palmas del Mar. As soon as possible after impact, emergency equipment and personnel will be deployed to perform damage assessment, evaluate safety and implement immediate security measures to prevent further losses and minimize risks. Vehicles and people not associated with this initial response will not be allowed to circulate within affected areas until it is completely safe to do so. The Director of the Emergency Operations Center, in coordination with state agencies, will issue instructions to security personnel as to when it is safe to allow vehicles and people to circulate freely in those areas. Each person or entity having been given a specific area of responsibility must carry out its assigned functions as anticipated in order for the plan to work effectively. Similarly, it is crucial that all emergency guidelines be abided and that everyone becomes fully aware of the norms that will be in effect in the event of a tsunami emergency. One of the key contributing factors in successfully handling an emergency is that everyone understands the rules that will be in effect at any time and what is expected of each individual. The support of all residents, business operators, service providers, work centers, employees and managers is essential to the success of the plan. It is of great importance that every person understands that once this plan goes into effect and normal operations within the community are altered and the guidance imparted by state agencies, the Emergency Committee and security personnel must be followed. The Business Association, Administrators of Residential Areas, PAC, Hotel Executives, ARB, PDMPI, PDMU, PHA representatives and state and municipal agency representatives as appropriate, will have representatives in the Tsunami Emergency Committee and will meet at least once a year to review the Tsunami Emergency Contingency Plan for Palmas del Mar. Also, this plan will be periodically exercised to heighten community awareness and determine its readiness. Such exercises will be coordinated with the appropriate state government and municipal agencies. Tsunamis are ocean waves generated by a sudden change of the ocean water level, most of them caused by earthquakes, but also by landslides, volcanic eruptions and comet or meteorite impact in the ocean. When the sea floor abruptly deforms, it vertically displaces the overlying water mass, creating a tsunami. Large vertical movements of the earth crust can occur at plate boundaries. The fracture along which there has been significant displacement is called a fault. An underwater earthquake occurs when a plate shifts abruptly, sometimes pushing water upward with tremendous force. Low and fast waves are generated in all directions across the ocean, some speeding as fast as 600 miles per hour. As the tsunami crosses the deep ocean, it may be only a few feet or less in height. As waves enter shallow water, they are compressed, their speed slows and they build in height. The wave height increases and associated currents intensify becoming a threat to life and property. There is usually little time to forecast the severity of a tsunami after one is generated. Large areas of coastline can be expected to be inundated and the advancing wall of water will strike with devastating force crushing homes and other coastal structures. A series of waves may continue for hours. The first wave may not be the last or the most dangerous. Tsunamis may reach vertical heights on shore of 10, 20 and even 30 meters above sea level. A Tsunami Warning System (TWS) is a system used to detect tsunamis and issue warnings to prevent loss of life and property. It consists of two equally important components: 1) a network of sensors to detect tsunamis, and 2) a communications infrastructure to issue timely alarms to permit evacuation of coastal areas. Warning systems depend on that, while tsunamis travel very fast in open water, earthquakes can be detected almost at once as seismic waves travel with a typical speed of 4 kilometers per second or 14,400 kilometers per hour. This gives time for a possible tsunami forecast to be made and warnings to be issued to threatened areas, if warranted. At Palmas del Mar official tsunami alerts and information statements are received via internet from the National Weather Service Tsunami Warning Center. Messages are directed to key personnel who can act quickly to take appropriate action depending upon the contents of the alert message. Also, similar information is received via internet from the San Juan Weather Service, the PR Seismic Network, the PR State Emergency Management Agency, radio and TV stations. Depending on the criticality of timing and the type of alert being issued, the PR State Emergency Management Agency can automatically activate local tsunami sirens if installed in your areas. Regional warning system centers use seismic data about nearby earthquakes to determine if there is a possible local threat of a tsunami. Such systems are capable of issuing warnings to the general public via public address systems and sirens in less than 15 minutes. Although the epicenter and moment magnitude of an underwater quake can be quickly calculated, it is almost impossible to know whether underwater earth shifts have occurred which would result in tsunami waves. As a result, false alarms can occur with these systems, disruption is small because of the highly localized nature of these extremely quick warnings. Detection and prediction of tsunamis is only half the work of the system. Of equal importance is the ability to warn the populations of the areas that will be affected. All tsunami warning systems rely on multiple means of communications such as radio, T.V., e-mail, etcetera, enabling emergency messages to be sent to emergency service centers and to the general population. The activation of population alerting systems such as sirens, radio, TV, police authorities, security services, etc., depend on the type of warning. No system can protect against a very sudden tsunami where the coast in question is too close to the epicenter. A devastating tsunami occurred off the coast of Hokkaido, Japan, as a result of an earthquake on July 12, 1993. This tsunami struck just three to five minutes after the quake and most victims were caught while fleeing for higher ground and secure places after surviving the earthquake. The agencies that provide information to Puerto Rico and the US Virgin Islands are the West Coast and Alaska Tsunami Warning Center (WCATWC, a federal agency), the Puerto Rico Seismic Network (a local agency) and the National Weather Service (NWS). The tsunami warnings are delivered to the Puerto Rico State Emergency Management Agency and the National Weather Service forecast office in San Juan. Also, the Palmas del Mar Security dispatch, manned on a 24 hour basis, and key Palmas del Mar personnel will receive alert messages directly from the WCATWC via electronic email and fax. Persons who subscribed to this WCATWC service will also receive the messages. An earthquake has occurred or a tsunami warning, watch or advisory alert has been issued for another section of the ocean. In most cases information statements are issued to keep people informed and to indicate that there is no threat of a destructive tsunami in your area. This is the second highest level of emergency alert. It is issued if there is potential danger of tsunami generated waves and strong currents. Leave the water and the beach areas. An advisory may become a warning or be cancelled. Remain attentive and follow instructions. This is the third highest level of emergency alert. It is issued when an event has occurred that may later affect the coastal zone. The watch can become an advisory, a warning or be cancelled depending on the available information. Remain attentive to further information and follow instructions. This is the highest level of emergency alert. A potential tsunami with significant widespread inundation is imminent or expected. Dangerous coastal flooding accompanied by powerful currents is possible and may continue for several hours after the arrival of the initial wave. Evacuate the flooding zone immediately. Go to higher grounds or your assembly point and follow emergency instructions. If time permits, have on hand emergency supplies, including first aid kit, for at least three days. Keep your emergency supplies in a backpack near your door or in a location where you can exit quickly. Know how to turn off your utility mains. Get basic first aid instruction. Consider maintaining a two-week supply of food and water at home. Maintain a listening watch and stay informed. Message may indicate that an earthquake has occurred but there is no danger of a tsunami and no other messages will be transmitted. Strong and dangerous local currents may occur. Stay tuned for emergency guidance and further alerts. Review your family emergency plan and check your possible disaster supply kit. Stay away from beach and coastal areas. Get ready to move upon a “Tsunami warning”, the sound of the emergency siren or upon instructions by security personnel. This means that a potential dangerous tsunami has not yet been verified. Stay tuned for more information. Monitor radio, T.V., emergency frequencies and other reliable sources. If you live in a low lying area carefully check your emergency supply kit. Especially, remember any special medicine, infant needs, warm clothing, water and cash. Locate family members and review evacuation plans. Remember scape routes and safety relocation areas. If you have special evacuation needs (handicapped, elderly, small children) consider early evacuation. Only consider taking your boat to deep water if time, weather and its seaworthiness permit. Secure important loose objects around your home/business, if time permits. Get ready to evacuate upon the sound of the emergency siren, receipt of a Tsunamy Warning or upon i9nstructions from security or emergency officials. This means a dangerous tsunami may have been generated and could be very close. Estimated times of wave arrival are given for selected coastal places. If on the beach or near the shoreline, evacuate to higher ground immediately. Do not wait for additional warnings. Remember your emergency kit. Follow instructions issued by local authorities. Never go down to the beach to watch for a tsunami. Turn off your water, electric and gas service at the main, if time permits. Follow pre-designated escape routes to safe areas and instructions by emergency officials or security personnel. Once in a safe area, do not return to the hazard zone until a competent official has issued an “all clear”. All tsunamis, like hurricanes, are potentially dangerous even though they may not damage every coast line they strike. Except for your emergency kit, abandon your belongings and save your life. If you have reached a safe high ground area, stay there until an “all-clear” is issued by a competent authority. Only if trapped and unable to reach high ground, go to an upper story of a sturdy building or get on its roof. As a last resort, climb-up a strong tree if trapped on low ground. If swept up by a tsunami, look for something that floats to use it as a raft. Do not attempt to go back to your home after the first wave. People have lost their lives thinking the danger has passed before the highest tsunami wave strikes. Expect many waves. The next wave may be bigger and the tsunami may last for hours. Do not move from safe areas until “all clear” and instructions have been issued by a competent authority. Be prepared to move to government shelters. In our area the closest official shelter is the Luciano Rios Elementary School in Buena Vista. However, facilities within Palmas del Mar located beyond the flood zones such as the PHA Building and the Palmas Academy will be considered as possible temporary shelters until government guidance is received. Plan for no utilities such as water and electricity. Anticipate the worst on your property or home. Tsunamis will leave behind debris, sand, remains of houses and bodies. If your house survives, expect company and offer shelter to your neighbors. Stay away from tsunami struck areas until declared safe by a competent authority. Palmas security and government authorities will exercise strict control of tsunami struck areas to prevent unauthorized persons from wandering into those areas. In accordance with a FEMA/ University of Puerto Rico Tsunami Flood Study, the inland flood limit boundaries in Palmas del Mar places at risk most residential areas in close proximity to the coastal area. Areas at risk include lateral streets of Surfside and Shell Castle, the Fishermen’s Village, Anchors Village, all areas next to the marina and Harbourside Road, Las Villas de Palmas, San Miguel, Plaza del Puerto, Plaza del Mar, Club Villas, Harborside, Harbor Point, Beach Village, Fairway Courts, Casillas de Palmas, Wyndham Gardens Hotel, the Tennis Center, Palmas Doradas, Fairlakes Village, Mare Sereno, Crescent Cove, Crescent Beach, Solarea, the Beach Club, Marbella and Maralago. Also, PDMU, PDMPI and PAC golf holes along the coastal areas and within the front nine of the Palm golf course. The PAC office and golf building area and residential areas such as Montecarlo, Palmas Plantation and Flamboyan Greens, although beyond the flood limit areas, should take no chances and move to higher ground upon a tsunami warning. Anyone unclear or not sure if his/her area is within a tsunami danger zone should head for high ground in the event of a tsunami warning. Palmas del Mar tsunami danger zones enjoy the advantage of being surrounded by relatively high ground areas that could provide immediate safe evacuation points in the event of a tsunami. High ground areas such as Montesol, Palmanova Plaza, Harbor View, Shell Castle Club, Ridge Top, Roble Valley, Port Road, Harborlights, Alturas de Palmas, Villa Franca, Sunrise, Palmas Reales, Palmas Drive and surrounding high ground, provide immediate adjacent points to move quickly away from danger areas. Green areas along Palmas Drive, Sunrise and Villa Franca Club House All areas along Candelero Road from Fairway Court to Marbella. Once the Tsunami passes and official notice is received that it is safe to move from the evacuation points, those persons in need of assistance or government support should move to the officially designated Assembly Point for Palmas del Mar: the Villa Franca Recreational Center. At this Assembly Point, government agencies will be deploying personnel to provide any assistance that may be needed to Palmas residents as a result of the emergency. PHA personnel and security officers will be assisting people, as required to move back into their properties or to the Assembly Point. Residents should monitor and be alert to siren emergency activation and for warnings transmitted by radio and T.V. broadcasts. Sirens are activated by the Humacao Municipality Emergency Operations Center upon receipt of a tsunami warning. Additionally, PHA will dispatch security patrols throughout danger zones to alert people of potential tsunami threats. Security posts at the entrance of regimes and everyone is expected to collaborate in warning other neighbors of impending tsunami activity. Sirens will emit a “Wale-Whoop” sound as soon as an official tsunami warning is received for Puerto Rico and are the primary means to alert people of an impending tsunami and for people to take immediate action to move to the nearest high ground area or designated evacuation point. At Palmas del Mar the Tsunami Alert Siren is located at the Palmas Drive / Palmas Inn Way intersection and is calibrated to be heard in all residential and danger areas ranging from the pocket beach on Star Shell Street next to Guayanés to the mouth of the Candelero River. However, if sirens are not operational, security officers will move through the danger areas alerting the population. Signs alerting when entering and leaving danger zones as well as routes to higher ground evacuation points within Palmas del Mar are displayed along danger zones. Time permitting, Palmas security will assist in directing people to the high ground areas. However, it is very important that every resident knows the closest high ground safe area and how to get there and takes immediate action as soon as a warning is received. When operational. sirens will be tested every last Wednesday of the month at 12:00 noon. A “Westminster Chimes” audible sound will be used during these monthly tests. Also, during the annual Tsunami CARIBEWAVE / LANTEX island-wide exercise the siren will be activated using the “Whale-Whoop” sound. People will be alerted well in advance about this exercise. Remain at your safe high ground area until you are advised by competent authorities that it is safe to return to your area or to proceed to the Assembly Point. Sirens will not be used to give you an all clear signal. Instructions will come verbally to you when it is safe to move from your safety area back to your residential area or to the Assembly Point. Once the all-clear is indicated that the tsunami danger has passed, the Emergency Actions Center will direct the initial damage and situation assessment of Palmas del Mar. Normal conditions will not be declared until it is determined by the competent authority it is safe to do so. The Security Director will issue security deployment instructions according to the Security Emergency Plan. A point control system will be initially established to insure traffic into major residential areas is controlled at certain check points. Once the security and damage situation is under control, normal deployment and control procedures will follow. During the initial damage assessment, the Palmas Security Coordinator will insure that all danger and risk areas are properly identified. Electrical lines, poles, fallen trees, damaged roads, debris, etc. will be carefully evaluated before deploying maintenance, security or service personnel. Also, coordination will be affected with the State Emergency Agency officials to establish Assembly Point required assistance. The Emergency Committee will coordinate and direct removal of debris and cleanup of common areas in coordination with state authorities. Arriving homeowners and properly identified visitors will be granted access when the complex is declared safe for general vehicle movement. All workers should report to the Service Entrance Gate when clear to do so. Construction workers will not be allowed to drive to construction sites. If necessary, parking for employees will be identified and construction workers will establish a transportation system to move their workers in and out of Palmas until conditions return to normal. The Main and Service Entrance Gates will remain closed to the general public until directed otherwise by the Emergency Committee. Initially only homeowners, developers, construction workers, business owners and regular personnel will be given access to Palmas once it is safe for vehicles to move around the complex. Street traffic will be strictly controlled and general vehicular circulation will not be allowed until declared safe to do so by the Emergency Committee or competent authority. Loitering will not be allowed at any time during the emergency. State and Municipal Police will be called to intervene with individuals loitering in unauthorized areas or danger zones. Employees should wait at home for instructions from employers and should report to work only when called to do so by their supervisors. Workers will be allowed access only to their respective work areas and will not be permitted to roam freely through Palmas. The Emergency Committee will continue to meet periodically to issue instructions and coordinate clean up and recovery actions. The Committee will issue guidance to security when it is safe or clear to return to normal operations. Coordination with State Agencies will be done on a continuing basis. Once the all-clear has been confirmed, crime prevention action will be taken and residents or persons loitering on the streets of Palmas will not be allowed in order to avoid injuries caused by electrical cables, water currents or any other type of accident of any nature. During a tsunami emergency period strategic points will be established for traffic and access control, until the streets have been cleaned of debris and of any kind of danger that could affect the residents. Four guards will be assigned to the Main Gate instructed not to allow anyone in until the streets are secured enough to transit on. Two guards will be assigned to the Back Gate, with the sole purpose of controlling the gate. One guard will be assigned at the intersection of Palmas Drive and Academy Drive, controlling access and avoiding that the properties in this area be violated. Two guards will be assigned at the intersection of Palmas Drive and Country Club Drive, controlling access towards County Club, Executives Offices and Regime. Two guards will be assigned in the intersection of Palmas Drive and Candelero Drive, controlling access toward the hotel and regimes in traffic area. Two guards will be assigned at the intersection of Palmas Drive and Palmas Inn Way, controlling access to that area. Two guards will be assigned to the intersection of Coral Way and Harbour Drive, controlling access in that area. Two guards will be assigned past La Jolla, stationed on Palmas Drive, controlling access to the south district of Palmas. All Emergency vehicles will have access at all times within Palmas. 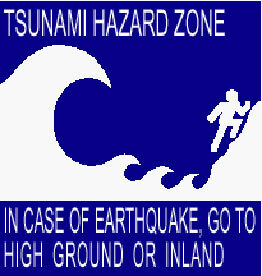 It is impossible to think about all the possible conditions or situations that will arise in the event of a tsunami. However, it is important to have a basic contingency plan to guide the Palmas community actions and disseminate information to minimize confusion and provide alternatives so each resident may act in a manner that will afford him/her the safest margin. This plan is dynamic and subject to improvements. Exercises to determine the community readiness will be conducted periodically. The Plan will be updated as more information is received from government agencies and as the Tsunami Emergency Plan for the Puerto Rico eastern region and for the Humacao Municipality plan evolve. Please forward any comments, suggestions or recommendations for improvements to this plan to the PHA Executive Director, Antonio Maldonado, at (787-285-6425). They will be most welcomed.